The development of the Belarusian capital was in focus during the visit of President of Belarus Alexander Lukashenko to Minsk City Hall . The President listened to the report on the complex development of Dzerzhinskogo Avenue, the territories adjoining the National Library and Minsk motorway, BelTA learnt from the presidential press service. The head of state set a task to complete the complex development of Dzerzhinskogo Avenue by 2013. ‘In 2013 in spite of any crises, we should complete the development of Dzerzhinskogo Avenue. Simultaneously the territory surrounding the houses in this area should be renovated,’ the head of state said. In his opinion, Minsk has not acquired its proper look yet. ‘No matter how proud we are of the cleanliness of the capital, Minsk today is not the kind of city it is supposed to be. First of all it should be comfortable and European-looking. We will intersperse Minsk scenery with new complexes, multi-level parking lots, houses, office buildings and so on,’ he said. According to Alexander Lukashenko, the urban planning should be based on the development of main avenues. As for Dzerzhinskogo Avenue, it does not have a systematic, high-quality housing system which would match its role in the city structure. Vast areas are not developed and are occupied by houses constructed in the 60s and 70s; some areas are overbuilt with houses of panel structure. Hallmark objects are very few. Apart from that, the low traffic capacity of the avenue, absence of major junctions did not let actively use this avenue for solving transport issues of the city in general. At present, a housing construction is in full swing in the residential areas of Mikhalovo, Brilevichi, and an area near Alibegova Street. A number of administrative buildings and a business centre have been erected near Golubeva Street. All in all, more than 2 million square meters of housing will be constructed in Dzerzhinskogo Avenue. Three multi-level junctions are to be built in the area of Dzerzhinskogo Avenue. About 45 major objects of different purpose will be constructed by 2012. The construction will be financed by budget funds, private and foreign investment. Apart from that, three new parks will be built and the existing one will be reconstructed. Four new subway stations are being constructed in this area. About 600 cottages are to be pulled down during the complex reconstruction of Dzerzhinskogo Avenue. Minsk Mayor Mikhail Pavlov and Chief Architect Viktor Nikitin called this problem one of the most crucial issues of the city planning. ‘In March everything should be legally arranged, without any bureaucratic impediments,’ Alexander Lukashenko said. Compensation will be paid to the owners of shabby houses that are to be demolished. They will be offered land plots for the construction of new houses outside Minsk or new apartments. These apartments will be provided only for those people who actually lived in the shabby houses, not all the people who were registered there. The head of state asked about the implementation of the Minsk-City project. In this connection, the President criticized Itera and Minsk City Council. The head of state said that there is a need to continue this project, one of the largest investment projects in the country, with no changes. 'There should be no setbacks in this project. Everything should go as it has been planned. I will not tolerate any talks related to lack of progress in the Minsk-City construction in May. If the investor (Itera company) is not capable of pursuing the project, then we need to refuse from its services. Either we do it, or pass the project on to other investors. We agreed that the state would finance the construction of a metro line, a road. Other works are to be implemented by investors,' the head of state said. When discussing participation of foreign investors in Minsk development projects, Alexander Lukashenko said that many companies have expressed interest in development projects in Minsk. Businessmen from Europe have expressed such interest too, he said. The President warned against red tape in consideration and implementation of investment projects. Alexander Lukashenko believes that there is no need to accelerate the demolition of the Belarus Hotel in Minsk. 'We were going to demolish the Belarus Hotel. Let’s think about whether we need to do it. Maybe we should rebuild it,' said the head of state. 'We build many five-star hotels but who will live there? The Belarus Hotel should become a people’s hotel,' said the President. It is not the top-priority task, however. According to the head of state, total reconstruction of the hotel can wait. It is necessary to bring in order its exterior and then rebuild the hotel floor by floor. The President also believes it is necessary to saturate the area around the hotel, but not with homes. According to the head of state, it is necessary to preserve the park on the river bank for recreation. It should be a complete complex, said Alexander Lukashenko. While visiting Minsk City Hall, Alexander Lukashenko paid attention to the development of the Partizansky Avenue. 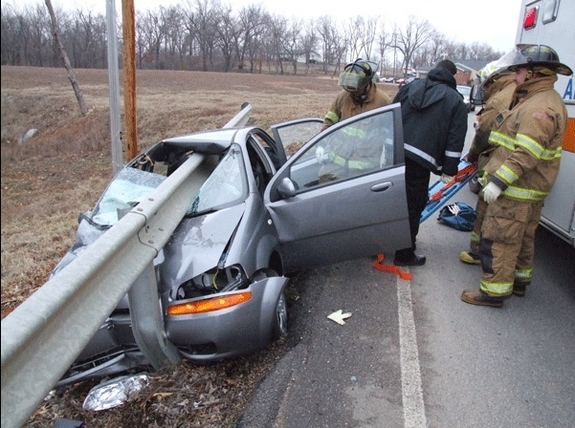 'It is one of the main streets, but not the way it should be. If we don’t have time to build important facilities there, maybe it doesn’t need that many of them, let’s build good homes there to make it look beautiful,' said the head of state. The President underscored top-priority attention should be paid to the accomplishment of Minsk motorway. Tens of new objects, including shopping centres, hotels, gas stations and parking lots will be constructed there. Not homes. At present the territory near the motorway is built with industrial and communal objects. This land is used extremely inefficiently from the economic point of view. Belarus will get another part, $500 million, of the Russian loan in February, Prime Minister of Belarus Sergei Sidorsky told reporters following a session of the Belarus-St. Petersburg Business Cooperation Council on February 27. This is a part of the second tranche of the stabilization loan, which Russia will give Belarus in line with the loan agreement. Another $500 million, as expected, will be provided in March, Sergei Sidorsky said. The Finance Ministry of Russia has proposed dividing the second tranche in equal parts: $500 million in February and $500 million in early March,” The Prime Minister said. The Belarusian side has agreed and now experts are in Moscow. The first part will be provided to Belarus today or tomorrow. When asked about Belarus’ request to extend a RUB 100bn loan, Sergei Sidorsky said that the loan is needed to facilitate bilateral trade. During the financial crisis it will be much efficient is the countries used using Russian ruble. ‘This is why the proposal of the Belarusian side was welcomed by the Russian government and upheld by our presidents; in March 2009 these funds can be injected in the trade,’ the Belarusian head of government added. He pointed out that the pace of utilization of these funds will depend on the collaboration between finance ministries and central banks. The participants of the session of Belarus -St. Petersburg Business Cooperation Council signed a number of documents: a protocol of the second session of Belarus – St. Petersburg Business Cooperation Council and a programme of trade, economic, sci-tech and humanitarian cooperation for 2009-2011 between the government of St. Petersburg of the Russian Federation and the government of the Republic of Belarus. Both documents were signed by Co-Chairperson of the Council, St. Petersburg Governor Valentina Matvienko and Co-Chairman of the Council, Prime Minister of Belarus Sergei Sidorsky. Apart from that, a cooperation agreement was signed between St. Petersburg Stock Exchange and the Belarusian Ministry of Architecture and Construction to supply Belarusian goods to exchange auctions. A reminder, Russia’s state loan will be extended to Belarus for 15 years at LIBOR+3% with a five-year deferment on the principal debt. The funds will be transferred in two tranches. $1 billion was granted on November 18, 2008, another $1 billion will be transferred in 2009. China supports Belarus’ policy to protect its independence and sovereignty, respects its choice of an economic and social development path and is against any external interference in the domestic policy of Belarus, BelTA learnt from Ambassador Extraordinary and Plenipotentiary of the People’s Republic of China to Belarus Lu Guicheng. ‘A Confucian idea of 'harmony and diversity' has influenced China during several thousand years and is still very popular today. It underpins China’s peaceful foreign policy. We advocate peace, dialogue, we are against conflicts, terrorism, hegemonism and power politics,’ the diplomat explained. Lu Guicheng also noted that last year the trade between the two countries increased significantly: in 2008 the bilateral trade exceeded $2 billion, up 50% from 2007. According to the Ambassador, trade and economic links will be expanded; some major investment projects will be implemented. The diplomat informed that Chinese largest companies are willing to set up joint ventures in Belarus, for example a company producing cement. The central banks of the two countries have agreed to collaborate, too. In 2009, the two sides will proceed with the reconstruction of Minsk CHP-plant No.2 and CHP-plant No.5. Lu Guicheng told BSU students studying the Chinese language and culture about the relations between Belarus and China. Talking to the students, the diplomat said that there are many good things about China but still there is a lot it can learn from Belarus. For example, the Belarusians are courageous and patriotic people. “Your nation has survived numerous wars and hardships, showed great valour protecting its homeland. Belarus is a land of remarkable culture, the Belarusians love and protect their nature,’ the diplomat said. The whole world is beset by environmental problems, but Belarus has preserved its unique nature, attaches a great significance to economy, power engineering and serves an example for other countries how to take care of its environment and heritage, Lu Guicheng concluded. The CIS Executive Committee and CSTO Secretariat are planning to sign a protocol of cooperation, Toktasyn Buzubaev, acting deputy chairman of the CIS executive Committee, told reporters in Minsk on February 26. On February 26, Minsk hosts a session of a group of experts in charge of coordination of a draft resolution of the CIS ministerial council on cooperation between the CIS Executive Committee and CSTO Secretariat. The draft resolution commissions the CIS chairman to sign a protocol on cooperation with the CSTO Secretariat. According to Toktasyn Buzubaev, this protocol will help avoid duplication of documents and time wasting. He also noted that in accordance with the charters both organizations work for strengthening peace and international security. The CIS Executive Committee and CSTO Secretariat will hold joint consultations, develop coordinated proposals and recommendations, exchange information, coordinate decision-making process during negotiations with international organizations. Plenipotentiaries for human rights of European states will discuss human rights matters with Belarusian diplomats and parliamentarians. A delegation of European ombudsmen is staying in Minsk now, Head of the Information Office, Press Secretary of the Belarusian Foreign Ministry Andrei Popov told media on February 26. While in Belarus the delegation is expected to hold meetings with Foreign Ministry officials, parliamentarians, to discuss human rights matters, said the official spokesman of the Belarusian Ministry of Foreign Affairs. “It is a normal dialogue process. The visit is taking place as part of the efforts aimed at stepping up the dialogue between Belarus and the European Union. It is a working, fact-finding visit,” he added. Andrei Popov underscored that mutually beneficial pragmatic relations with Europe have always been a priority of the foreign policy of Belarus. Belarus’ Foreign Ministry hopes that the new US administration will take constructive steps to develop bilateral relations, Igor Petrishenko, the First Deputy Foreign Minister, said when speaking in the Belarusian parliament on February 25. “The relations with the USA remain complicated not through the fault of Belarus,” the first deputy minister noted. According to him, Belarusian-US relations will normalize if Washington gives up on ultimatums. “I hope the new US administration will understand that communicating with Belarus from the position of strength and using the language of sanctions has no prospects”, Igor Petrishenko said. According to the First Deputy Minister, restoring trade between Belarus and the USA, which has been approaching $1 billion before the sanctions were imposed, remains an important issue. The National Assembly of Belarus intends to create working groups for cooperation with parliaments of Finland, Saudi Arabia and Turkmenistan, Chairman of the Permanent Commission for International Affairs and Ties with CIS Sergei Maskevich said at a workshop for the heads of the National Assembly’s working groups for cooperation with parliaments of foreign states. According to Sergei Maskevich, parliaments of Finland, Saudi Arabia, and Turkmenistan are working on establishing similar working groups. The National Assembly of Belarus has already created 29 working groups for cooperation with foreign parliaments and two international commissions for cooperation with Armenia and Ukraine parliaments. Import must be minimised, demanded Prime Minister of Belarus Sergei Sidorsky at a conference with heads of Belbiopharm enterprises. The conference was held on February 25 to discuss the industry operation in the modern financial and economic conditions, BelTA has learnt. “Import substitution is a top-priority task,” stressed the Prime Minister. He added Belarusian manufacturers should start producing as much drug substances as possible. “Certainly it is expensive and costly and may entail a lot of problems, but getting busy with it is important,” said Sergei Sidorsky. It is important for Belarusian scientists to start working on designing drug substances, believes the head of government. “The government is dissatisfied with poor performance of our science in this area, primarily the National Academy of Sciences and institutes,” added the Prime Minister. Sergei Sidorsky remarked, Belbiopharm manufactures almost 590 medications, however, it lags behind in manufacturing drug substances. “Only 7-8% of the substances used in the country are Belarus-made,” he said. In his opinion, it is necessary to widely apply practices used by the Vitebsk biofactory. “While visiting the factory three years ago I gave an instruction for NASB institutes to work more actively on drug substances there,” said Sergei Sidorsky. “The project, which is being implemented in Vitebsk now, will allow the factory to get a manufacturing facility of its own, which will be able to replace 70% of the import”. In view of the global crisis a reasonable approach to prices for medications will be preserved in Belarus. “At present prices for Belarusian drugs on the home market are 4.5-5 times lower than prices for foreign analogues,” stated Sergei Sidorsky. “We once started the policy of taming prices for medications and we will continue it as part of social programmes for people entitled to preferences”. The Prime Minister stated, these days Belarus buys pill materials, which are four times more expensive, from Russia and Ukraine. Expensive imported substances are widely used in the production of Belarusian drugs. “It is inadmissible to keep the industry loss-making, especially during the global crisis,” believes the head of government. According to Sergei Sidorsky, the government supports many branches of the medication production, but the prices should be revised carefully. “We will not raise prices,” he said. The Prime Minister pointed out that prices on the global market are falling in the crisis. In 2008 resident-companies of the free economic zones (FEZ) manufactured Br6.032 trillion worth of products and services, up 34.1% from 2007, BelTA learnt from the National Statistics Committee. Sales margins made up 11.8% last year. Total revenues of resident-companies increased by 31.2%, taxes to budget and off-budgetary funds were up by 24.1%. Yet, the share of weak companies remains high, accounting for 15.9% of the total number of resident-companies. Nominal wages of employees of the FEZ resident-companies reached Br902,000 in 2008. Some 5,124 new jobs were created. Capital investments in the FEZ amounted to Br594.735 billion. Manufacturing industry accounted for 85.6% of the total investment, immovable property operations accounted for 6.5%, trade and public catering 5%. In 2008, the FEZ resident-companies exported $1.539 billion worth of products. Exports to the CIS totaled $1.342 billion (87.2% of total exports), including $1.167 billion to Russia (75.8%). Major exports were furniture (12.4%), tinned fish (7.8%), plastic containers (6.7%), polyacetal resin and и polyether (5.1%), meat products and tinned meat (5.8%), synthetic fibres (5.1%), aluminum metalware (4.1%), insulated wire, cables (3.3%). As of January 1, 2009, 268 companies were registered as resident-companies of the free economic zones in Belarus. 264 of them were active. The biggest number of resident-companies are registered with the Minsk FEZ (26.1% of the total number) and Brest FEZ (24.3%). Belarus is considering selling a 10 percent to 20 percent stake in its second-largest state bank, Belagroprombank, to Russia's Rosselkhozbank, the chief of the Belarussian bank, Sergei Rumas, said on Thursday. The government increased Belagroprombank's share capital at the end of last year and it now totals more than $1.3 billion. Both banks specialise in lending and services to the agriculture sector. 'Not just us, but also the government and the president's office, are ready to look at Rosselkhozbank's involvement as a shareholder of Belagroprombank,' Rumas told a news briefing. A Rosselkhozbank official in Moscow said the issue would be discussed by the governments of both countries. 'We co-operate with Belagroprombank and are studying a number of projects. As for ownership, this will be studied by the owners of both ours and the Belarussian bank,' the official said. Minsk has talked for a while of selling minority stakes to foreign investors in Belagroprombank and Belarusbank, as well as a controlling stake in Belinvestbank. But deals have been delayed by the global financial crisis. Telekom Austria, which controls Belarus’ second-largest GSM operator Velcom, is opposing the Belarusian government’s pricing policy, the newspaper WirtschaftsBlatt reported with reference to CEO Boris Nemsic. The company is in talks with the country’s authorities over the matter. Earlier this week, the Belarusian economy ministry ordered Velcom and another leading GSM provider, Mobile TeleSystems (MTS), to cut call rates to the levels that were in place at the beginning of the year. MTS complied the following day. А few days after the National Bank of Belarus sharply devalued the Belarusian rubel in early January, the two mobile phone providers announced that they would increase their call rates. The Belarusian Council of Ministers warned that it could apply anti-monopoly measures against MTS and Velcom unless their rates were reduced to the previous levels. In August 2007, the Belarusian government sold its stake in Velcom to the co-owner, Cyprus-based Samauwi Brothers (SB) Telecom, for $556 million, according to official reports. Few months later, Telekom Austria paid €730 million for 70 percent in Velcom’s Cyprus-based owner and has the right to buy the remaining 30-percent stake for €320 million in the fourth quarter of 2010. Russia Friday attacked as "politically shocking" a Czech EU presidency warning to Belarus not to recognise the independence of Georgian breakaway regions, the Interfax news agency reported. Czech Foreign Minister Karel Schwarzenberg said earlier this week in Brussels that if Belarus followed Russia by recognising pro-Moscow Abkhazia and South Ossetia it would face a "very, very difficult situation." Belarus President Alexander Lukashenko has moved to improve relations with the European Union after years of isolation and the bloc's foreign policy chief Javier Solana last week made his first ever visit to the country. "The comment by Schwarzenberg cannot be described as anything other than politically shocking," a high-ranking Russian foreign ministry source told Interfax. "It cannot be seen as anything other than crude pressure by the EU presidency on the sovereignty of the state of Belarus," the source added. Lukashenko has said that parliament would consider recognising the two regions' independence this year, in a move that would make Belarus only the third state to make such a move after Russia and Nicaragua. But up to now no further steps on a recognition appear to have been taken. Lukashenko has ruled the ex-Soviet republic of 10 million people in an authoritarian fashion since 1994. But last October, EU foreign ministers suspended a travel ban on Lukashenko and several associates in a move designed to encourage democracy in the wake of disputed elections. "It is natural that if Belarus or the parliament, if they would recognize South Ossetia and Abkhazia, it would create a very, very difficult situation for Belarus," Schwarzenberg, whose country holds the rotating presidency, told reporters on Monday. "Belarus would be out of a European consensus. That must be clear to them." If Belarus makes progress along the democratic road it could also become part of the EU's new 'Eastern Partnership' scheme which it plans to set up with other former Soviet states Armenia, Azerbaijan, Georgia, Moldova and Ukraine. The partnership is due to be launched in Prague in May, though no decision has yet been taken on the involvement on Belarus. Text and Picture Copyright 2009 AFP. All other Copyright 2009 EUbusiness Ltd. All rights reserved. This material is intended solely for personal use. Any other reproduction, publication or redistribution of this material without the written agreement of the copyright owner is strictly forbidden and any breach of copyright will be considered actionable. The Belarusian Foreign Ministry has stated that the European Union’s plan for expanding the Eastern Partnership initiative should entail “equitable conditions for all its participants.” While the European Union would like to include Belarus in this initiative in order to strengthen ties to its eastern neighbor and pull Minsk away from Russia’s influence, Moscow has been making substantive deals with Belarus to make sure that does not happen anytime soon. The Belarusian Foreign Ministry issued a statement Feb. 26 that the European Union’s proposed Eastern Partnership initiative, which outlines the union’s relations with neighboring states on its periphery, should offer “equitable conditions for all its participants.” This statement comes as the European Union returns to its discussion of the proposed initiative, which would expand the scope of its current European Neighborhood Policy (ENP), specifically to include the former Soviet states of Ukraine, Moldova, Belarus, Georgia, Armenia and Azerbaijan. Belarus especially has been a focus of these discussions, as it is only a provisional participant in the ENP. Furthermore, Belarus holds a geopolitically crucial location in Europe, serving as the staging ground for Russian force projection into Central Europe. Often referred to as the last remaining dictatorship of Europe, Belarus has had a largely antagonistic relationship with the European Union due to the close relationship between Minsk and Moscow as well as the European Union’s constant condemnation of Belarus’ alleged undemocratic nature and frequent human rights abuses. But certain EU countries — particularly the eastern countries and former Soviet satellites like Poland and the Czech Republic — would like to strengthen ties to Belarus in order to lure it away from Russia’s influence as Moscow reasserts itself. Not all the countries in the bloc share this enthusiasm, however, and some important upcoming summits will show whether all EU members can get on the same page. On March 19, the European Union is slated to discuss the future of the ENP, which could be expanded to form a more comprehensive agreement (the aforementioned Eastern Partnership). On May 7, a large EU summit is scheduled that could see the European Union attempt to entice Belarus with the benefits that accompany inclusion in the ENP — such as visa-free travel within the European Union and reduced tariffs in dealing with EU markets — by formally offering Minsk membership in the Eastern Partnership. However, it will not be easy to charm Belarus away from Russia, as Moscow has been making a number of substantive deals with Minsk, and these agreements likely will solidify in the coming weeks. STRATFOR sources in Moscow have reported that Belarus next week will be receiving the second installment of a US$2 billion loan granted by Russia in the fall of 2008. These sources have also reported that another loan of 100 billion rubles (US$2.8 billion), which Minsk requested last month but which the Russian Finance Ministry dismissed at the time, is being reconsidered and most likely will be approved. The Russo-Belarusian relationship is not just about cash; more solid ties will keep a Russian presence on the ground in Belarus. Russia has been increasing its stake in its neighbor’s energy industry, and a preliminary agreement between Belarus state energy company Beltransgaz and Russia’s Gazprom indicates that Minsk will have to pay no more than US$150 per thousand cubic meters (tcm) of natural gas in 2009, barely above last year’s rates (as compared to European prices of more than $400 per tcm). At a time when the global economic recession is sweeping across Europe and industrial output is plummeting, such financial assistance is simply too valuable for the economically isolated Belarus to pass up. Along with the financial and energy assistance Russia is granting Belarus, there has been a parallel increase in military cooperation between the two neighbors. Russia announced that it would form a regional air defense network with Belarus as part of a wider integrated network of the Commonwealth of Independent States (CIS), complete with fighter jets, anti-aircraft units and support units. Also, a large Russian force will be stationed near the Belarus border — and a handful of soldiers will be in Belarus itself — as Moscow expands the Collective Security Treaty Organization (CSTO) to maintain a rapid-reaction force, of which Belarus will be an integral part. This is doubly important because Belarus shares a border with Poland, which feels most threatened by an increase in Russian troop presence. Rumors have even circulated that on May 7, the same day the European Union could ask Minsk to join the Eastern Partnership, Belarus will recognize the breakaway Georgian regions of Abkhazia and South Ossetia. So while the European Union issues rhetorical calls for things such as visa liberalization and expanding cultural ties to strengthen the bloc’s partnership with Belarus, Russia has been forming comprehensive deals with its traditional ally on both the economic and military fronts. Though Minsk can be fickle and in the past its loyalty has depended on short-term deals and cash, putting Russian boots on the ground and expanding long-term energy ties represent firmer and more strategic moves by Moscow and indications that Belarus has no plans to break from Russia’s orbit anytime soon. In any case, Moscow will do what it must to make sure that doesn’t happen. According to the BelaPAN news agency, over 60 women from across Belarus, convicted for minor offences pertaining to their political activity, have adopted a resolution to the Belarusian authorities urging them to stop criminal prosecution of their compatriots, including the Minsk resident Liudmila Samusenka and Babruisk residents Luidmila Karaulava and Nadzeya Davydava. The former was accused of libel after she addressed the Ministry of the Interior with a request to provide information concerning her personal rights and interests. On 12 February 2009 the police conducted an illegal search in the private house of Liudmila Karaulava, resulting in her disabled mother’s death on 22 February, after the policemen left the doors open and exposed the 90-year-old woman to cold. The resolution also states the fact of the illegal detention of the two under-aged grandchildren of Nadzeya Davydava for crossing the railway in Baruisk, Mahiliou region. The claimants say they fear to be harassed in the similar way in future. Will Belarus get another political prisoner? On 25 February a court sitting on the criminal case against Yana Paliakova took place at Salihorsk district court. She is charged with violation of article 400, part 2, ‘Knowingly false delation’ that envisages up to five years of imprisonment, saligorsk.org informs. Bear in mind that in November 2008 persecution of Salihorsk human rights activist by the law machinery got a wide publicity. On 9 October Yana Paliakova was attacked in the porch of her house. From there she called the ambulance and the police. She was given the first aid by the medics, but had to wait for quite a long time till the police came. She was taken to the police station to write a statement about the assault. Bear in mind that on 30 August Yana Paliakova was detained by the police in the center of Salihorsk. According to her, the policemen and a man in mufti proposed that she signed some papers. When she tried to have a look at them, she got a severe hit on the hands and then two kicks in the legs. Afterwards the beating was registered by medics. At the session dedicated to the European Eastern neighborhood Belarus will be represented by opposition, stated the Chairman of the European parliament’s Committee on Foreign Affairs Jacek Saryusz-Wolski. This sensational statement has been made by the MEP on February 26 in Brussels at the meeting with journalists, the European Radio for Belarus informs. 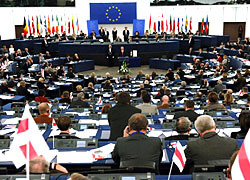 As the member of the European Parliament informed, in autumn during the new cadence of the European Parliament the Euronest assembly (European Neighbourhood East). 60 MEPs and 60 parliamentarians from Eastern countries (10 MP from each: three Caucasian republics, Moldova and Ukraine) are to take part in the session. As the European Union does not recognize legitimacy of the Belarusian “chamber of representatives”, representatives of the Belarusian opposition are to be invited to the session. Jacek Saryusz-Wolski has also stated that the situation with human rights in Belarus continues to cause concern of the international community. “The weakest element in these six is Belarus, with its serious shortage of democracy and human rights. 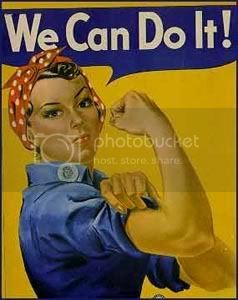 Today there are optimistic changes, but not fully. Unfortunately, the law on mass media contradicts European standards. Besides, opposition leaders are sent to the army instead of imprisonment,” the MEP said. Mr Saryusz-Wolski has also stated that in April the European Parliaments’ representatives plan to visit Minsk. The MEPs intend to meet with Alyaksandr Lukashenka, the head of the presidential administration Uladzimir Makej, Foreign Minister Uladzimir Martynau, and the leader of “For Freedom” movement Alyaksandr Milinkevich, the chair of the Belarusian Association of Journalists Zhanna Litvina and other representatives of the pro-democracy movement. The term of the provisional suspension of sanctions against Belarusian officials is expiring. The planned visit aims to decide the future of these sanctions. But Mr Saryusz-Wolski does not believe the sanctions would be finally cancelled. “We are interest in business and economy lest of all”. He stated that the European Parliament is the most sensitive organ of the EU concerning processes of democratization and respect to human rights. “I do not believe that the sanctions could be fully liquidated,” the MEP said. In addition, the results of this visit are to influence the decision to make Belarus a member of the Eastern Partnership program. The question of granting admission to the Eastern Partnership program to Belarus would be made on the principle of a triangle: the Council of the European Union, the European Commission and the European parliament. The decision is to be adopted by majority of the participants of the head of the EU countries which is to take place on March 19-20 in Brussels. Russian Prime Minister Vladimir Putin warned opposition critics on Friday not to use the economic crisis as an excuse to challenge his government and told them to abide by the law. Unrest across Russia over economic upheaval has been muted, with the biggest protests so far taking place in the Far East port of Vladivostok where hundreds were arrested in January demonstrations over car tax. Speaking at a meeting with leaders of Russia's dominant political party, United Russia, ahead of regional elections this weekend, Putin said that criticism of the Russian government during a crisis was allowed, but only within the laws. "If opposition actions go outside the law, it means they are not pursuing the goals of improving people's lives, but their own selfish goals and the state has the right to defend itself properly," Putin said at his residence outside Moscow. Russia has tight controls that restrict opposition groups from holding rallies or marches without official sanction. Applications from groups like chess grandmaster Garry Kasparov's 'Other Russia' movement are frequently rejected. Putin and other senior Russian officials have criticised "people's revolutions" in ex-Soviet Georgia and Ukraine which propelled pro-Western leaders to power through street protests. "We won't allow events to happen like in some other countries, to which I will not point a finger now. At the same time, we won't limit lawful forms of protest," Putin said. The ballot will mark the first electoral test for Putin since the global slowdown hit Russia last summer. Opposition groups this month started a series of protests across Russia and are hoping to expand their limited base of support to those affected by the dramatic slowdown in the Russian economy that has sent unemployment soaring. After a decade of steady growth, the economy is set to shrink by at least two per cent this year, which economists say will push up the jobless rate, now standing at over 8 percent. Putin's comments were dismissed by opposition figure Ilya Yashin of the newly-formed Solidarity group who said authorities define any criticism as a threat to national interests. "This is an indicator of the nervousness of the authorities which understand how huge is the probability of public unrest," said Yashin. Russia's foreign minister said Friday he will focus on arms control talks during his meeting with U.S. Secretary of State Hillary Clinton next week, while Moscow has demonstrated its revived military might by sending a bomber on patrol near Canada and putting a new military radar on duty. Sergey Lavrov said arms control talks will top the agenda for his meeting with Clinton in Geneva next week. He added that Russia expects the U.S. to form a team of arms-control negotiators quickly. Russia has welcomed the new U.S. administration's intention to start talks soon on a successor deal to the 1991 Strategic Arms Reduction Treaty, or START I, which expires in December. The treaty, signed by Soviet President Mikhail Gorbachev and President George H.W. Bush, contains a comprehensive control and verification mechanism hailed by both Moscow and Washington. Last week, Lavrov put out a series of demands to Washington in the arms control sphere, signaling that the negotiations will be difficult. The Kremlin has taken a tough tone with Washington ever since Barack Obama's election. The day after his victory, President Dmitry Medvedev warned that Russia will deploy missiles to its westernmost Kaliningrad region in response to the U.S. missile defense plans. Medvedev and his mentor and predecessor as Russian president, Vladimir Putin, later said that Russia would only make the move if the U.S. deploys missile defense sites in Poland and the Czech Republic. They voiced hope that Obama's administration will scrap the plan, which was a favorite of George W. Bush's administration. Obama has not said how he intends to proceed, but stressed the system must be cost-effective and proven, and that it should not divert resources from other national security priorities. Amid a growing strain in Russia-U.S. ties during George W. Bush's presidency, the Kremlin has sought to boost its military and flex muscles worldwide. Last fall, Russia has sent a naval squadron to the Caribbean where it held joint maneuverers with the Venezuelan navy and made port calls at several countries in a show of force close to the U.S.
Russian strategic bombers also have regularly flown across the Atlantic, Arctic and Pacific Oceans since Putin ordered to resume Cold War-style bomber patrols in August 2007 when he still was the Russian president. Canadian Defense Minister Peter MacKay said Friday that fighter jets were scrambled to intercept a Russian bomber in the Arctic as it approached Canadian airspace on the eve of Obama's visit to Ottawa last week. MacKay said the bomber never entered Canadian airspace, adding that the flight was a "strong coincidence." Russia's Defense Ministry expressed surprise, saying the flight had been conducted in conformity with international norms. In a separate development Friday, the Russian military announced that it put in service a new early warning radar intended to monitor potential missile threats on Russia's southern flank. The Russian Space Forces chief, Maj. Gen. Oleg Ostapenko, said in a statement that the new radar, located near the southern city of Armavir, has much higher performance than its Soviet-built predecessors. The Space Forces said that the new facility, which came online Thursday, will replace two Soviet-built military radars in Ukraine. Russia ended the lease last year of radars in Ukraine's western city of Mukachevo and the Black Sea port of Sevastopol because of Ukraine's efforts to join NATO, the western military alliance. The Armavir facility is part of a Russian system of military early warning radars intended to spot missile launches. In 2006, the military commissioned a similar radar in Lekhtusi, near St. Petersburg. The Soviet Union built a network of military early warning radars on its flanks because of the need to detect incoming missiles as early as possible. After the Soviet collapse, they were left in the newly independent ex-Soviet lands, crippling the Russian military's early warning capability. Russia's post-Soviet cash shortage has made it difficult for the military to properly maintain other radars on Russian territory. The nation's windfall oil wealth over the last decade allowed the Kremlin to boost defense spending and start upgrading aging arsenals. But prospects for military modernization look more bleak now that Russia is facing its worst financial crisis in a decade. On Friday, RIA-Novosti news agency quoted Vice Adm. Anatoly Shlemov as saying that the Russian navy plans to commission at least three new aircraft carriers. Russia now only has one Soviet-built carrier, the Admiral Kuznetsov, which is much smaller than U.S. carriers and has been plagued by mechanical problems and accidents. Shlemov's statement, however, sounded more like a lobbying effort than a specific government plan. Earlier this week, Deputy Prime Minister Sergei Ivanov in charge of weapons industries said that the navy should focus on smaller ships, no bigger than frigates or corvettes. President Viktor Yushchenko has promised Ukraine's biggest creditors, the IMF and the World Bank, that the country's authorities will work together to protect loan deals, including cutting the budget deficit. Yushchenko sent a letter to both institutions late on Friday after the International Monetary Fund said it was willing to adjust its $16.4 billion credit programme, given a deterioration in global conditions since it was clinched last October. The IMF has, in effect, suspended the release of the second tranche of that credit, worth about $1.84 billion, because of differences over the way Ukraine is fulfilling the programme. The global economic crisis has slashed demand for Ukraine's steel and chemical exports, and investors have also been spooked by politicians' resistance to meeting the terms of the IMF deal. Two international rating agencies have downgraded the ex-Soviet state's debt. "Next week, state institutions and political parties will produce agreed positions on unresolved issues and turn them over to the IMF office in Washington," the president wrote. "Laws deemed necessary by the latest IMF mission will be presented to parliament. This will enable us to significantly reduce the 2009 state budget deficit. Through these steps, Ukraine will show it is ready to resume dialogue with the IMF." 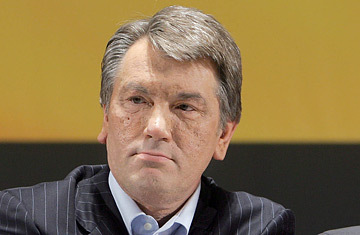 Yushchenko dispatched the letters after a day of talks with his main rival, Prime Minister Yulia Tymoshenko, the speaker of parliament and a senior opposition leader. At the close of the talks, the president urged politicians to end quarrels as Ukraine gears up for a presidential election early next year. Yushchenko and Tymoshenko, allies in the 2004 "Orange Revolution" that swept pro-Western leaders to power, now disagree on nearly all issues. Leaders agreed to produce documents on cooperation with international financial institutions on Monday. "What a difference a credit rating downgrade makes," said Tim Ash at RBS in London. While the latest downgrade was "very harsh on Ukraine ... it does appear to have sparked the first signs of reconciliation and policy action in Kiev," Ash said. "Perhaps Ukrainian politicians are getting the message." The influential weekly Zerkalo Nedeli said Friday's talks also produced agreement between the president and prime minister to leave in place central bank chairman Volodymyr Stelmakh. Tymoshenko has demanded the president dismiss the central bank chief over a decline in the hryvnia currency which, at one point late last year, fell to 50 percent of its former value. The IMF mission chief to Ukraine, Ceyla Pazarbasioglu, told reporters in Washington on Friday that the Fund was willing to consider different options for the budget deficit. A balanced budget or a gap of no more than 1.0 percent of gross domestic product was no longer feasible, she said, but Ukraine had to secure further financing. The budget now provides for a deficit of about 3 percent of GDP. Pazarbasioglu expected a Fund mission to return to Kiev next week and said the IMF could further downgrade its GDP growth forecast for Ukraine to a deeper contraction beyond 6.0 percent for 2009. Tymoshenko's government has a forecast for 0.4 percent growth, denounced by the president as excessively optimistic. Belarus has decided to go with a completely fresh team for the European Athletics Indoor Championships in Torino. The squad includes 4 men and 10 women. Olympic medalists Andrey Kravchenko (heptathlon) and Nadezdha Ostapchuk (Shot Put) have decided to opt out due to different reasons. 60m: Aksana Drahun, Yuliya Balykina; 60H: Katsiaryna Paplauskaya, Alina Talai; Triple Jump: Natallia Viatkina, Nastassia Mironchyk; 4x400m: Hanna Tashpulatava, Katsiaryna Mishyna, Katsiaryna Bobryk, Aliona Kievich. Цена билета: 10 000 белорусских рублей. Заказ билетов по телефону: (8-029) 692-06-01. - рядом с кинотеатром “Центральный”. On April 2 the Belarus Parliament is due to debate whether to recognize the Georgian breakaway territories as independent states. So far Belarus President Lukashenko has refrained from taking this step. But predictably Russia is exercising all sorts of pressure to try and force its neighbour to commit this illegal and internationally condemned action. If Belarus does not resist Moscow’s arm-twisting and recognizes South Ossetia and Abkhazia it will be easier for the Kremlin to apply the same or similar type of pressure on other CIS countries to try and make them support its violation of international law. But Belarus has another issue to consider. Diplomatically isolated, it is crucial for the country to find some way of coexisting with the rest of Europe. It has a chance to become one of the members of the Eastern Partnership Programme, and sees this as a priority. Everyone knows that Czech Foreign Minister Karel Schwarzenberg has made a statement warning Belarus not to make a wrong step if it wants to cooperate with the EU. Everyone also knows that this was an implied threat to exclude Belarus from the Eastern Partnership Programme if it follows Russia’s bidding. Of course the recognition of its breakaway regions as ‘independent states’ by another country (in addition to the grand total of two who have done this so far!) would be bad for Georgia. But this step would also considerably damage Belarus’ reputation and image worldwide, undermining its chances of being accepted into any EU programme. Russian political analyst Mikhail Remizov considers this question will force Belarus to establish its political identity. Will it chose to be a Russian ally or part of the European periphery? Remizov comments that currently Belarus is quite successfully attempting to cooperate with Europe and receive benefits from it, and has the prospect of further deeper integration with it. This situation suits the EU because the Lukashenko regime will eventually pass: it could last a maximum 10-15 years, and by then tight links will have been established between the EU and Belarus. The alternative for Belarus is the rather vague prospect of becoming a virtual Russian satellite and remaining in isolation: the price it will have to pay to go down this road is easier to understand than the benefits it might obtain by doing so. Moscow directly insists that Belarus must make a pro-Russian decision, promising different benefits, mainly economic ones revolving around energy supply, in exchange for its loyalty. Remizov thinks that European interests will prevail, but Russian politicians think otherwise. Communist MP Anatoly Locot believes it makes no difference when Belarus recognizes the two regions, be it April or May, but it will happen. The question of recognition or non-recognition is one small element of the confrontation between the EU and Russia, in which the latter is slowly and gradually promoting its policy, acquiring more and more influence. This will continue unless the EU elaborates a viable plan to resist Moscow’s imperialism. Maybe the EU needs a “distinguished” European leader in its ranks to counterbalance the US? If this is the plan, tell us openly, now.